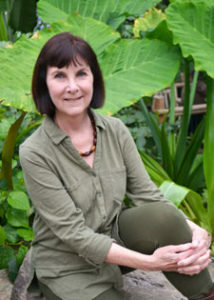 My name is Susan Lennox, and I offer psychotherapy, as well as Life Coaching and Business Coaching. I work with my clients in person in my Broomfield, Colorado office and also by telephone or online. I offer an array of services that are suitable for helping with a spectrum of client needs, from coaching for practical life or work/business issues at one end of the spectrum to psychotherapy for deeper psychological and emotional issues at the other end. While life issues never slot neatly into one category, the following will give you a general sense of the scope of issues I work with and the approach that often best fits those issues. Of course, the right approach for any specific issue and any specific person can only be determined after a full assessment of your situation and understanding your goals. I will keep you informed of the processes we are using and answer your questions at each step of our work together. You will be a full partner in determining the course of our work together. I bring a strengths–based approach to my work with my clients. I see you as a healthy, resourceful, whole person. I will strive to fully understand your coaching or therapeutic goals and co-design with you a plan of action that suits your needs and brings you the results you are seeking in an effective and efficient manner. I use an integrated approach that calls upon the strengths of both the logical, linear parts of your brain and your creative, intuitive, holistically focused parts of your brain. In doing this I draw on principles and approaches from several evidence-based modalities, including Focusing, Internal Family Systems (IFS), and Acceptance and Commitment Therapy (ACT). Learn more about these specific approaches here.